It’s that time of year again! The greenhouse is hosting chicks and new tomato seedlings. I love getting new chicks and never tire of their adorable antics. This year we decided to add a couple more Reds to the flock. We only have one left and she’s getting way up there in years, so… she’s really not laying as much as she used to. Typically we rely on our Reds to get us through winter with eggs, as they’re known for being good winter layers; but this year for the first time in a very, very long time, we had to BUY EGGS! *clutches pearls* It just doesn’t seem right to have a flock of 8 hens and still have to pay for eggs. Sigh. So, we also decided to add another blue egg layer, simply because they’re so darn pretty and we love our Dr. Seuss-ian colored eggs. And for those observant readers who say, but that’s only three, and that there is a six-piece box of nuggets!… We are splitting the chicks with my sister. Hers are the Buff (yellow chick) and the spare Red and Aracauna. This entry was posted in Sustaining. Bookmark the permalink. 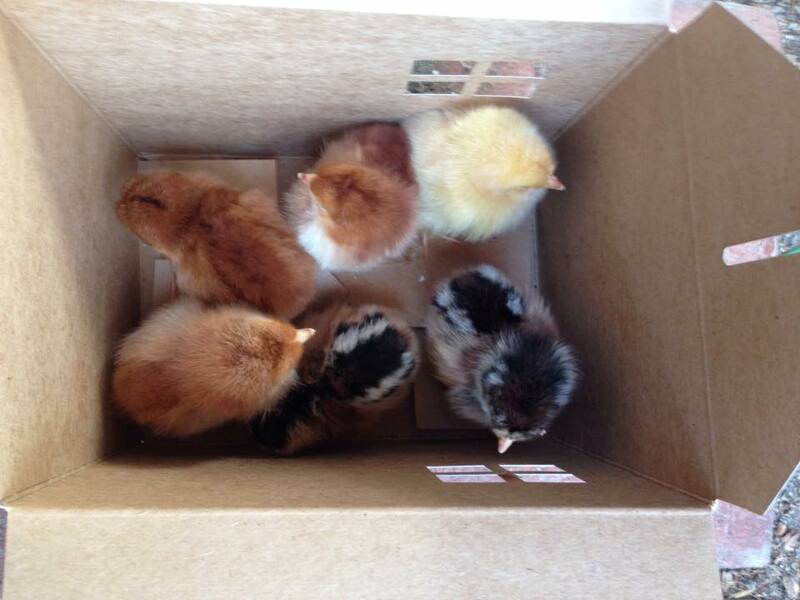 The chicks are ADORABLE! Almost as sweet as your devotion to them Ms. FF!